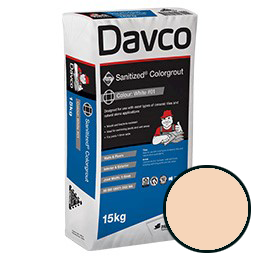 Cornsilk coloured cementitious grout designed for use with most types of ceramic tiles and natural stone applications available in a large range of colours. Suitable for interior and exterior applications. Commercial and domestic walls and floors.